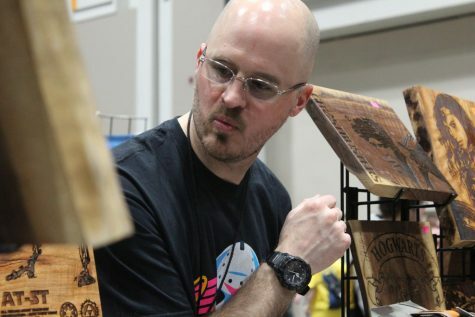 Local Comic-Con crafter Jason Hurst sells his comic, superhero, and Star Wars art at Planet Comic-Con held in Bartle Hall. Hurst taught himself how to weld in 2010 but began welding art in 2014 for fun. The laser engraver was bought because of the work he saw he could do with it.